Spacesuits have come a long way from their humble origins in the 1960s. But despite decades worth of innovation, the basic design remains the same – large, bulky, and limiting to the wearer’s range of movement. Hence why a number of researchers and scientists are looking to create suits that are snugger, more flexible, and more ergonomic. 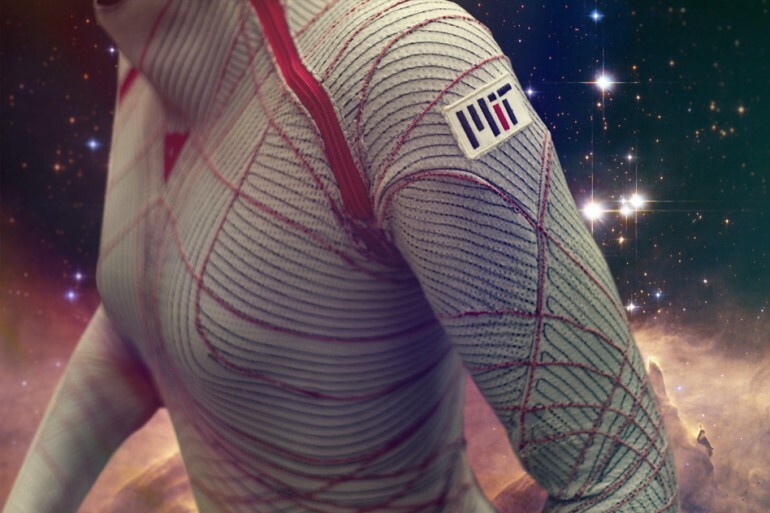 One such group hails from MIT, with a skin-tight design that’s sure to revolutionize the concept of spacesuits. With conventional spacesuits, you’re essentially in a balloon of gas that’s providing you with the necessary one-third of an atmosphere [of pressure,] to keep you alive in the vacuum of space. We want to achieve that same pressurization, but through mechanical counterpressure — applying the pressure directly to the skin, thus avoiding the gas pressure altogether. We combine passive elastics with active materials. Granted, Newman’s design is the first form-fitting spacesuit concept to see the light of day. 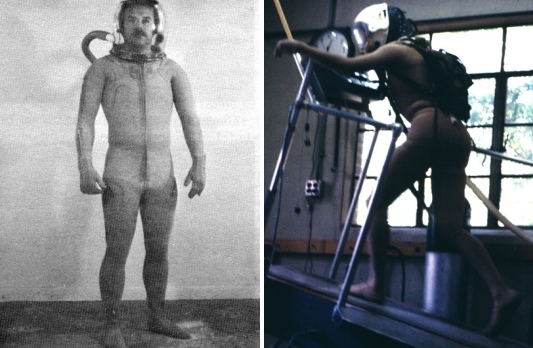 Back in the 1960’s, NASA began experimenting with a suit that was modeled on human skin, the result of which was the Space Activity Suit (SAS). Instead of an air-filled envelope, the SAS used a skin-tight rubber leotard that clung to astronaut like spandex, pressing in to protect the wearer from the vacuum of space by means of counter pressure. For breathing, the suit had an inflatable bladder on the chest and the astronaut wore a simple helmet with an airtight ring seal to keep in pressure. This setup made for a much lighter, more flexible suit that was mechanically far simpler because the breathing system and a porous skin that removed the need for complex cooling systems. The snag with the SAS was that materials in the days of Apollo were much too primitive to make the design practical. 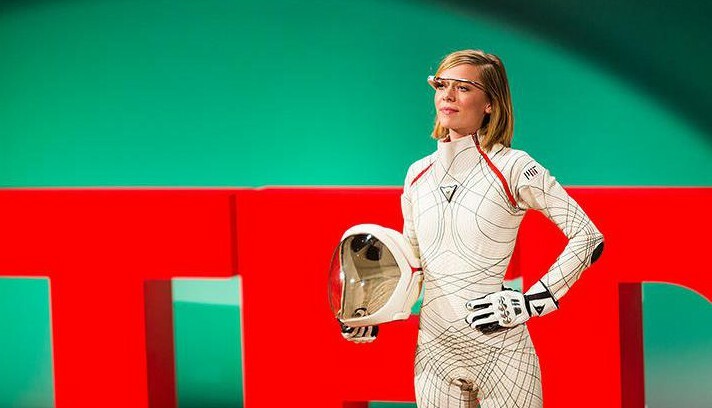 Little progress was made until Dava Newman and her team from MIT combined modern fabrics, computer modelling, and engineering techniques to produce the Biosuit. Though a far more practical counter-pressure suit than its predecessor, it was still plagued by one major drawback – the skintight apparatus was very difficult to put on. Solutions were proposed, such as a machine that would weave a new suit about the wearer when needed, but these were deemed impractical. 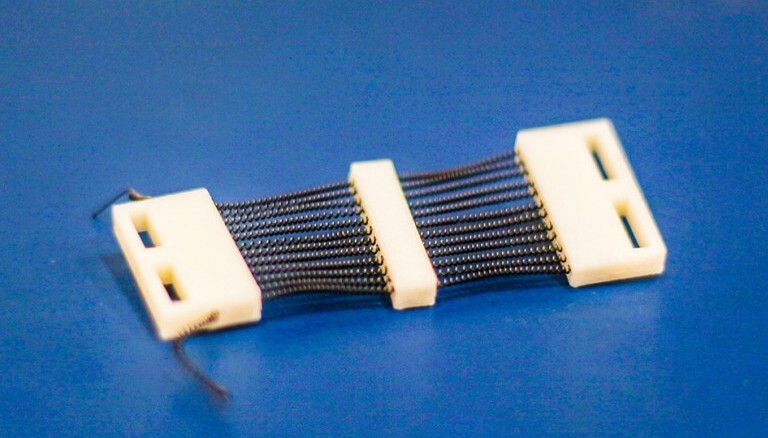 The new approach incorporates coils formed out of tightly packed, small-diameter springs made of a shape-memory alloy (SMA) into the suit fabric. Memory alloys are metals that can be bent or deformed, but when heated, return to their original shape. In this case, the nickel-titanium coils are formed into a tourniquet-like cuff that incorporates a length of heating wire. When a current is applied, the coil cinches up to provide the proper counter pressure needed for the Biosuit to work. Bradley Holschuh, a post-doctorate in Newman’s lab, originally came up with the idea of a coil design. In the past, the big hurdle to second-skin spacesuits was how to get astronauts to squeeze in and out of the pressured, skintight suit. Holschuh’s breakthrough was to deploy shape-memory alloy as a technological end-around. To train the alloy, Holschuh wound raw SMA fiber into extremely tight coils and heated them to 450º C (842º F) to fashion an original or “trained” shape. 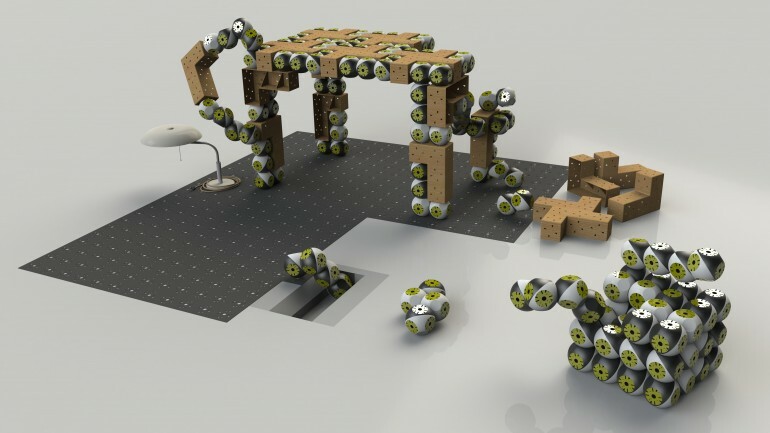 In order to maintain it without continually heating the coils, however, the team needs to come up with some sort of a catch that will lock the coils in place rather than relying on a continuous supply of electricity and needlessly heating up the suit – yet it will still have to be easy to unfasten. Once Newman and her team find a solution to this problem, their suit could find other applications here on Earth. You could [also] use this as a tourniquet system if someone is bleeding out on the battlefield. If your suit happens to have sensors, it could tourniquet you in the event of injury without you even having to think about it… An integrated suit is exciting to think about to enhance human performance. We’re trying to keep our astronauts alive, safe, and mobile, but these designs are not just for use in space. 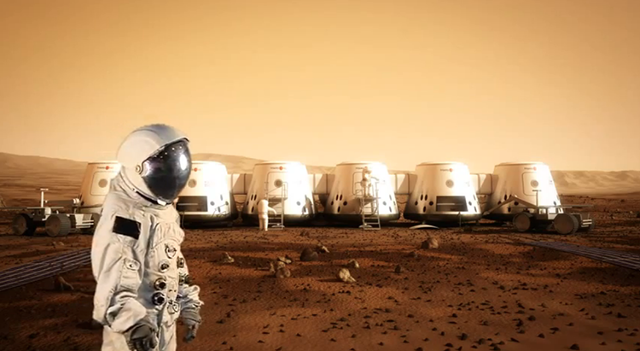 Considering the ambitious plans NASA and other government and private space agencies have for the near-future – exploring Mars, mining asteroids, building a settlement on the Moon, etc. 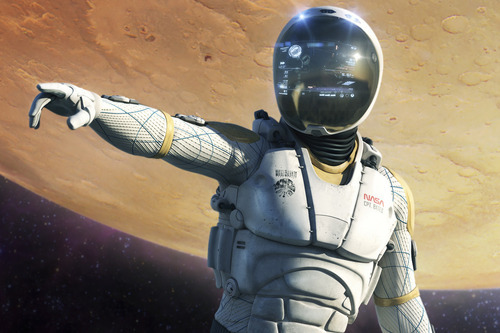 – a next-generation spacesuit would certainly come in handy. With new launch systems and space capsules being introduced for just this purpose, it only makes sense that the most basic pieces of equipment get a refit as well. When it comes to diseases and conditions that have long been thought to be incurable – i.e. 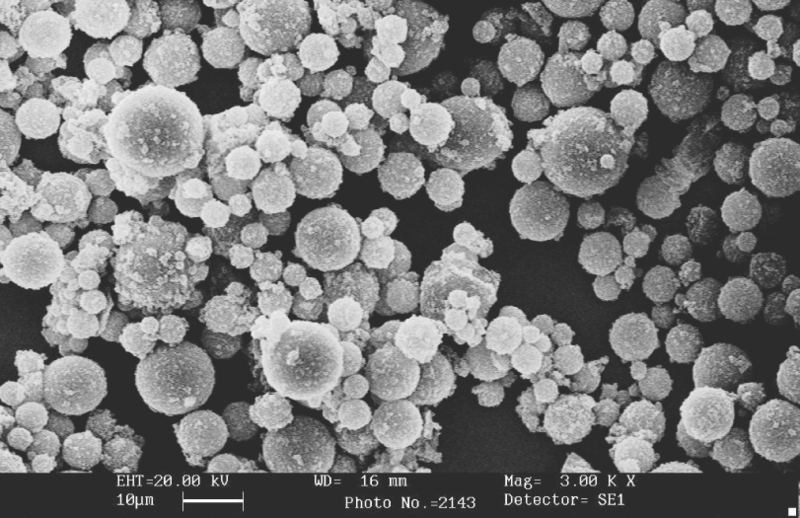 cancer, diabetes, HIV – nanoparticles are making a big impact. 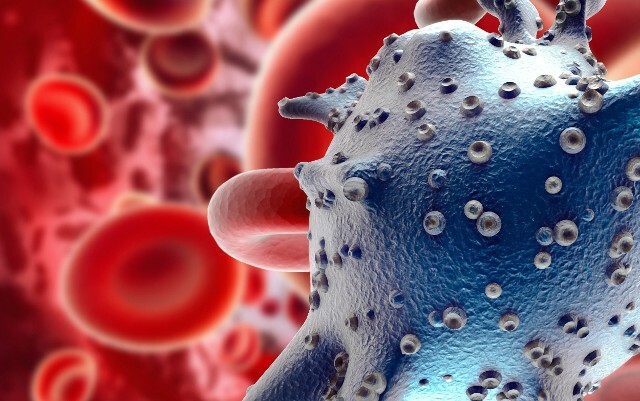 In the case of HIV, solutions have been developed where gold nanoparticles can deliver bee venom or HIV medication to cells of the virus, while leaving healthy tissue alone. As for diabetes and cancer, the same concept has proven useful at both seeking out and delivering medication to the requisite cells. However, a new breakthrough may be offering cancer patients something more in the coming years. In what appears to be a promising development, researchers at the University of California Davis (UC Davis) Cancer Center have created a multi-tasking nanoparticle shown to be effective both in the diagnosis of a tumor and attacking its cells – a flexibility that could lead to new treatment options for cancer patients. One of the big challenges in developing multitasking nanoparticles is that they are traditional designed with one purpose in mind. They are constructed using either inorganic or organic compounds, each with strengths of their own. Inorganic nanoparticles, such those made from gold, are effective in imaging and diagnostics. Organic nanoparticles, on the other hand, are biocompatible and provide a safe method of drug delivery. The nanoparticles developed at UC Davis are made from a polymer composed of organic compounds porphyrin and cholic acid, which is produced by the liver. The researchers then added cysteine – an amino acid that prevents it from releasing its payload prematurely – to create a fluorescent carbon nanoparticle (CNP). The team then tested the new nanoparticle with a range of tasks, both in vitro and in vivo (aka. in a solution of cells and in living organisms). They found the particle was effective in delivering cancer-fighting drugs such as doxorubicin (commonly used in chemotherapy). 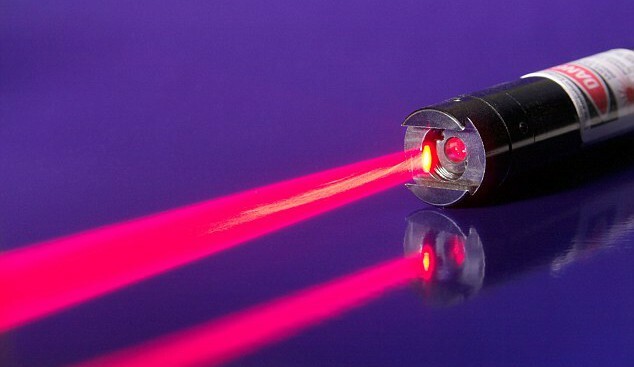 In addition, they found that while applying light (known as photodynamic therapy), the nanoparticles release reactive molecules called singlet oxygen that destroy tumor cells, while heating them with a laser (known as photothermal therapy) provided another way for the particles to destroy tumors. One notable finding was that the release of a payload sped up as the nanoparticle was exposed to light. The researchers claim this ability to manipulate the rate at which the particles release chemotherapy drugs from inside the tumor could help to minimize toxicity. This is a big plus considering that all known cancer treatments – i.e. chemotherapy, medication, radiation – all come with side effects and have a high risk causing damage to the patient’s healthy tissue. In relation to imaging and phototherapy, the nanoparticle remained in the body for extended periods and bonded with imaging agents. And because CNPs are drawn more to tumor tissue than normal tissue, it helps to improve contrast and light them up for MRI and PET scans. This effectively makes the UC Davis nanoparticle a triple threat as far as cancer treatments are concerned. 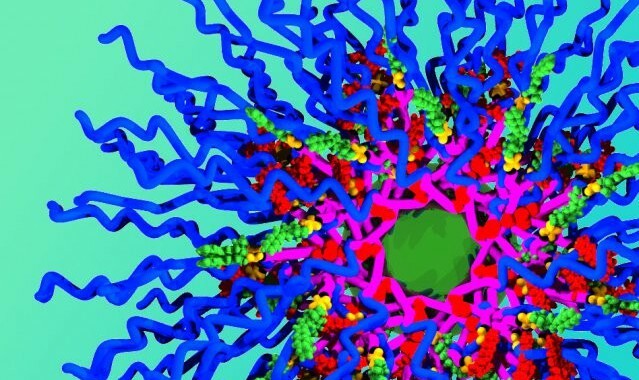 This is the first nanoparticle to perform so many different jobs. From delivering chemo, photodynamic and photothermal therapies to enhancing diagnostic imaging, it’s the complete package. The team is now focusing on further pre-clinical studies, with a view to advancing to human trials if all goes to plan. And this is not the only breakthrough inolving cancer-fighting nanoparticles to be made in recent months. Back in April, scientists at MIT reported the creation a revolutionary building block technique that’s enabled them to load a nanoparticle with three drugs, and claim it could be expanded to allow one to carry hundreds more. 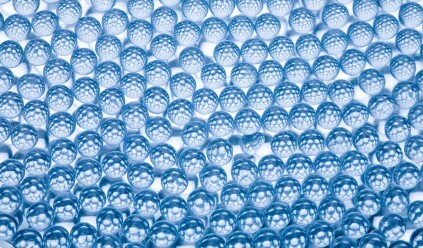 Typical nanoparticle designs don’t allow for scaling, since they call for building a nanoparticle first, then encapsulating the drug molecules within it or chemically attaching the molecules to it. Attempting to add more drugs makes assembling the final nanoparticle exponentially more difficult. To overcome these limitations, Jeremiah Johnson, an assistant professor of chemistry at MIT, created nanoparticle building blocks that already included the desired drug. Called “brush first polymerization,” the approach allows the researchers to incorporate many drugs within a single nanoparticle and control the precise amounts of each. In addition to the drug, each tiny building block contains a linking unit enabling it to easily connect to other blocks, and a protective compound to ensure that the drug stays intact until it enters the cell. The approach not only allows different drug-containing blocks to be assembled into specific structures, but it also enables each drug to be released separately via different triggers. 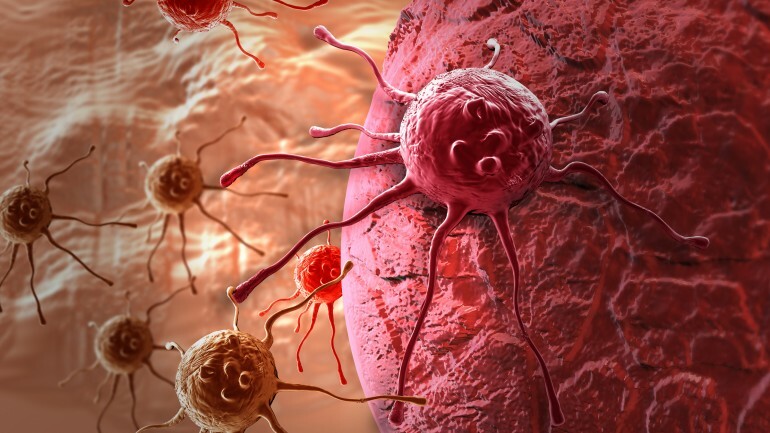 The team has tested its triple threat nanoparticles, containing drugs typically used to treat ovarian cancer – such as doxorubicin, cisplatin and camptothecin – against lab-grown ovarian cancer cells. This is a new way to build the particles from the beginning. If I want a particle with five drugs, I just take the five building blocks I want and have those assemble into a particle. In principle, there’s no limitation on how many drugs you can add, and the ratio of drugs carried by the particles just depends on how they are mixed together in the beginning… We think it’s the first example of a nanoparticle that carries a precise ratio of three drugs and can release those drugs in response to three distinct triggering mechanisms. In this case, the cisplatin is delivered the instant the particle enters the cell, as it reacts to the presence of an antioxidant found in the cells called glutathione. When the nanoparticle encounters a cellular enzyme called esterases it releases the second drug, camptothecin. 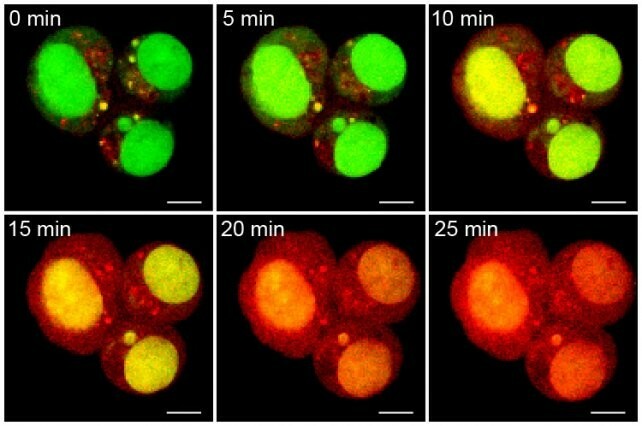 Shining ultraviolet light triggers the release of the remaining doxorubicin, leaving behind only the biodegradable remnants of the nanoparticle. The researchers believe this approach can potentially be used to link hundreds of building blocks to create multidrug-carrying nanoparticles, and pave the way for entirely new types of cancer treatments, free from the damaging side effects that accompany traditional chemotherapy. The MIT team is currently working on making nanoparticles that can deliver four drugs, and are also engaged in tests that treat tumor cells in animals. Until recently, the fight against cancer has been characterized by attrition. While treatments exist, they tend to be a balancing act – inflicting harm and poisoning the patient in small doses with the hope of killing the cancer and not the host. Smarter treatments that target the disease while sparing the patient from harm are just what is needed to turn the tide in this fight and bring cancer to an end. Climate Change is currently recognized as one of the greatest threats to the stability and well being of the world and its people. But far worse than rising sea levels, unpredictable weather patterns, and an increase in forest fires is the threat that it could have on the global food supply. As our population increases by several billion over the next few decades, these problems will make it even harder to feed everyone. Up until now, predictions and projections have taken into account rising temperatures, drought, erosion, and longer growing seasons. 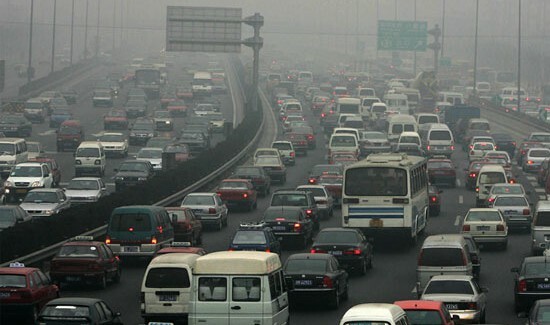 But a recent study, produced by researchers at MIT and Colorado State University shows that air pollution is also a major factor. In their report, which was published in Nature Climate Change, they claim that ground-level ozone could exacerbate the effects on staple food crops like wheat, soybeans, maize, and rice. Using two scenarios, researchers mapped out the tandem relationship between pollution and climate change. As a baseline, the MIT and Colorado State researchers estimate that climate change alone will result in a 11% decrease in global crop production. But if countries fail to substantially curb greenhouse gas emissions (the first scenario), the scientists’ model shows that air pollution could trigger an additional 4% of crop failures. That means that barring significant changes, croplands could see a 15% drop in productivity in the next 40 years. But if countries work to decrease greenhouse gas emissions after 2040, the researchers’ model shows that reduced air pollution could actually offset other negative impacts of warming on crops. They calculate that reduced air pollution in this second scenario could actually increase yields by 3%. The link between air quality and food production may seem a bit odd, but the logic is actually very straightforward. Basically, the atmosphere forms ozone when sunlight energizes pollutants generated from sources like cars and power plants. 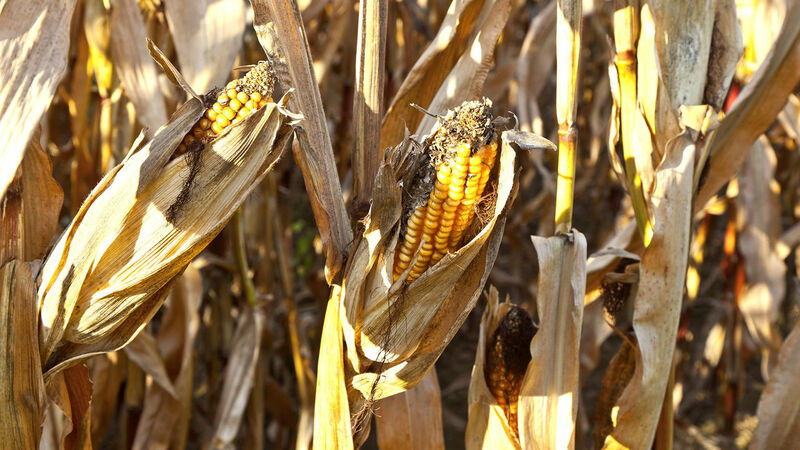 Ozone concentrations can also increase at higher temperatures, the kind that already wither temperature-sensitive crops like maize. 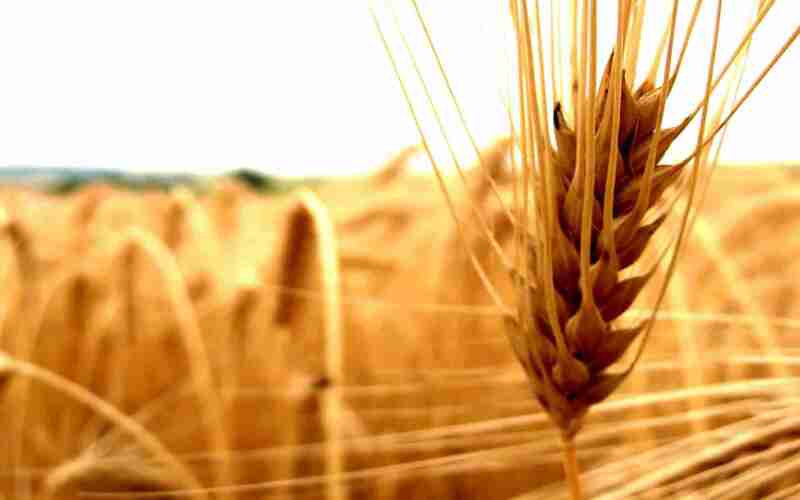 On top of the heat, increased ozone levels attack pollution-sensitive crops, like wheat. In the climate scenario where emissions decrease after 2040, the reduction in ozone alone would be enough to increase wheat production in the U.S. and China, the researchers say. Their findings show that reducing air pollution could slow the negative impacts of climate change–even enough to reverse some of them. But some regions will be negatively impacted no matter what. 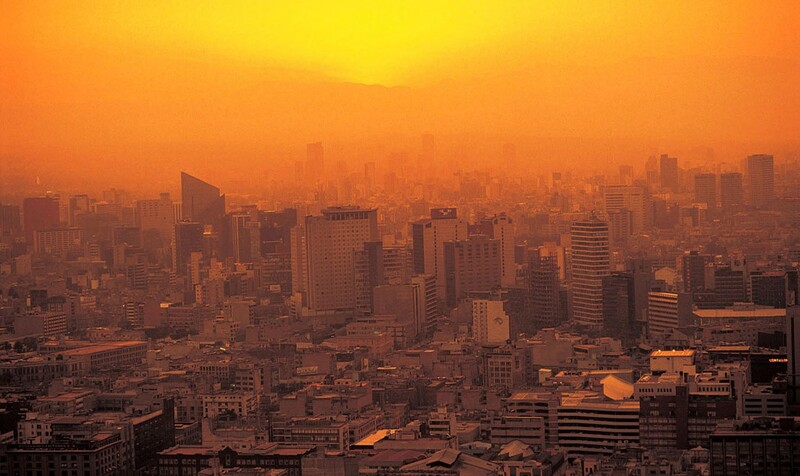 It appears that South Asia will be the most hard-hit by the combination of warming and ozone trends, where ozone is expected to increase even in the more optimistic scenario. African countries with low domestic production and heavily reliant on food imports are also expected to suffer more in terms of climate-pollution-driven food insecurity. In short, food production is likely to suffer no matter what, but the effects could be confined to certain areas of the world. With proper management, and the provision of food to these regions from those that are unaffected (say, a pollution-fighting US and China), the worst could be avoided. And there’s some good news coming from another report, which claims we can further increase our food production without taxing the environment. According to a new report by researchers at the University of Minnesota’s Institute on the Environment, by focusing efforts to improve food systems on a few specific regions, crops and actions could make it possible to both meet the basic needs of three billion more people while simultaneously decreasing agriculture’s environmental carbon footprint. The report, published in Science back in July, may sound like fantasy, but the argument offered is logical and compelling. The report focuses on 17 key crops that produce 86 percent of the world’s crop calories and account for most irrigation and fertilizer consumption. It then proposes a set of key actions in three broad areas that have the greatest potential for reducing the environmental impact of agriculture while boosting production. For each, it identifies specific “leverage points” where NGOs, foundations, governments, businesses and citizens can have the greatest impact. This paper represents an important next step beyond previous studies that have broadly outlined strategies for sustainably feeding people. By pointing out specifically what we can do and where, it gives funders and policy makers the information they need to target their activities for the greatest good. Overall, the report identified a number of major areas of opportunity and key leverage points for improving the efficiency and sustainability of global food production. First, there is reducing the “yield gap” – i.e. 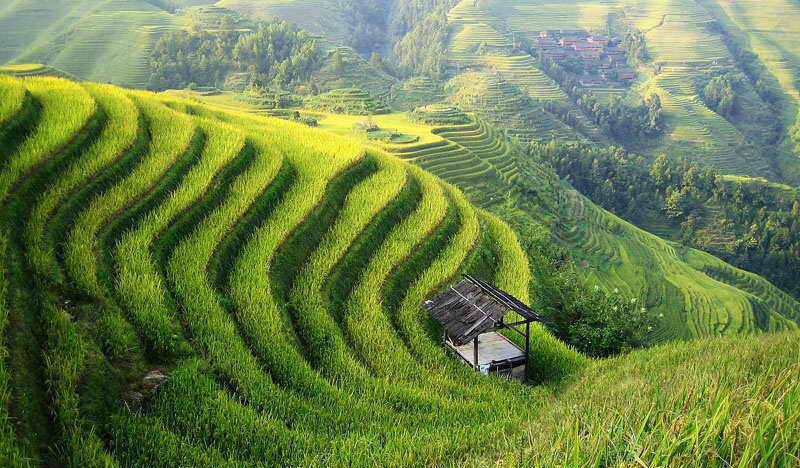 the difference between potential and actual crop yields – in many parts of the world. Currently, the largest gaps are to be found in Africa, Asia and Eastern Europe, and reducing it by just 50% could provide enough calories to feed 850 million more people. Second, there is improving growth efficiency. The study identified two key areas where major opportunities exist to reduce climate impacts and improve efficiency of crop growth. These included the reduction of emissions of global greenhouse gas – which agriculture is responsible for 20 t0 35 percent of – in the form of CO2, tropical deforestation and methane, as well as improved efficiency in water usage. In the case of emissions, the biggest opportunities are in Brazil and Indonesia where deforestation is a major problem, and in China, India and the US, where the production of rice, livestock, and crop fertilization all lead to sizable carbon and methane emissions. 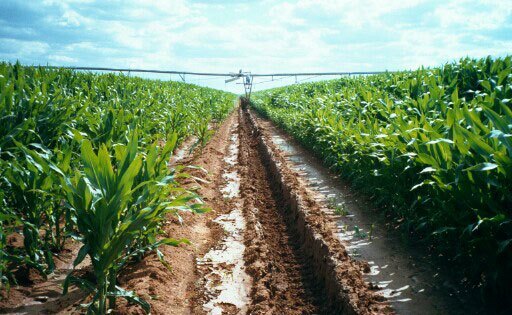 With respect to nutrient use, the study found that worldwide, 60 percent of nitrogen and nearly 50 percent of phosphorus applications exceed what crops need to grow. 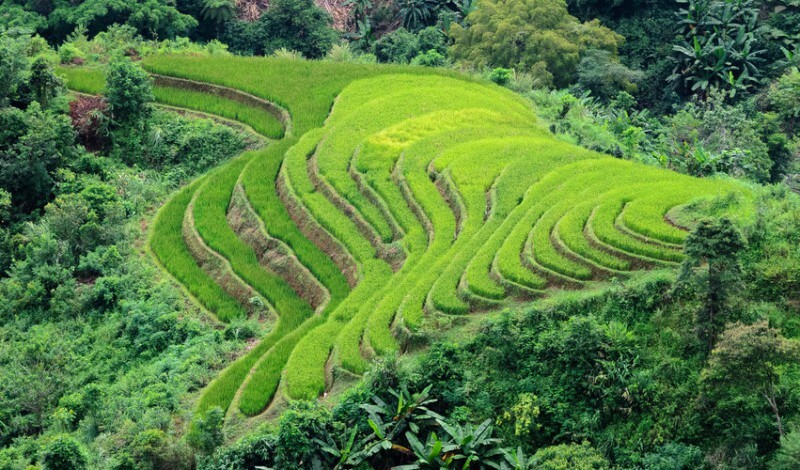 In the case of water usage, the greatest opportunities are in China, India and the US, where the production of rice, wheat and corn create the most demand for irrigation. India, Pakistan, China and the U.S. also account for the bulk of irrigation water use in water-limited areas. 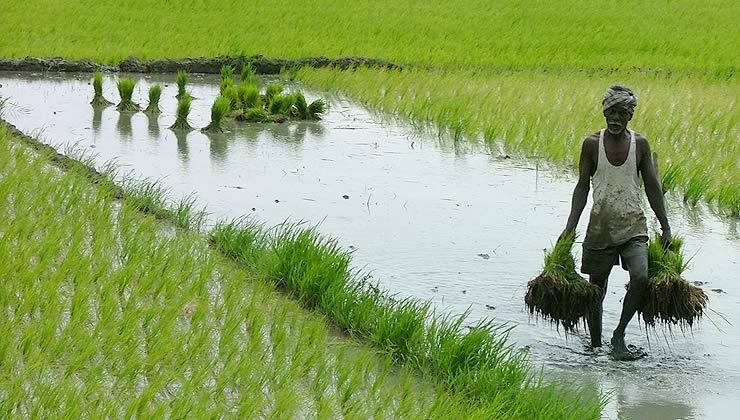 Thus, by boosting crop water use efficiency could also reduce water demand by 8 to 15% without compromising food production. Third, the report calls for improved efficiency in crop use, which can be done by shifting crops from livestock to humans use and reducing food waste. Currently, the amount of crops fed to animals is sufficient to meet the calorie needs of 4 billion people. The U.S., China and Western Europe account for the bulk of this “diet gap,” with corn being the main crop diverted to animal feed. Shifting these crops could also form a “safety net” in the event of an unforeseen shortfall. Last, but not least, the report calls for the elimination of food waste, which accounts for some 30 to 50 percent of food production worldwide. Again, the U.S., China and India are the major players, and reducing waste in these three countries alone could yield food for more than 400 million people. All told, these changes could allow for enough food for an additional 3 billion people, which is what the world population is expected to reach by 2050. Sustainably feeding people today and in the future is one of humanity’s grand challenges. Agriculture is the main source of water use, greenhouse gas emissions, and habitat loss, yet we need to grow more food. Fortunately, the opportunities to have a global impact and move in the right direction are clustered. By focusing on areas, crops and practices with the most to be gained, companies, governments, NGOs and others can ensure that their efforts are being targeted in a way that best accomplishes the common and critically important goal of feeding the world while protecting the environment. Of course, while calories are a key measure of improving food security, nutrition, access and cultural preferences must also be addressed. 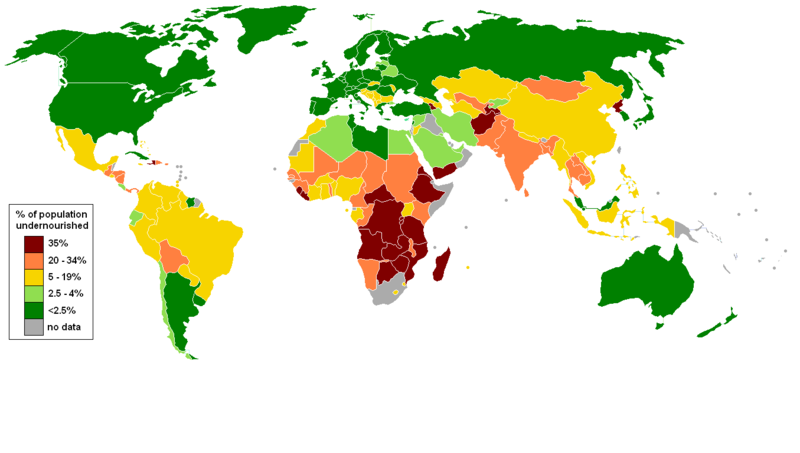 But the need to boost food security is high. So let’s do it. As always, the good news is contained within the bad. Or more precisely, every crisis present us with an opportunity for change and advancement. Though Climate Change and air pollution may threaten current and future levels of food production, there are solutions. And in all cases, they present opportunities for healthier living, more efficient use of land and water, and a more sustainable way of meeting our most basic needs. The selfie is an apparent obsession amongst today’s youth, snapping pictures of themselves and posting them to social media. 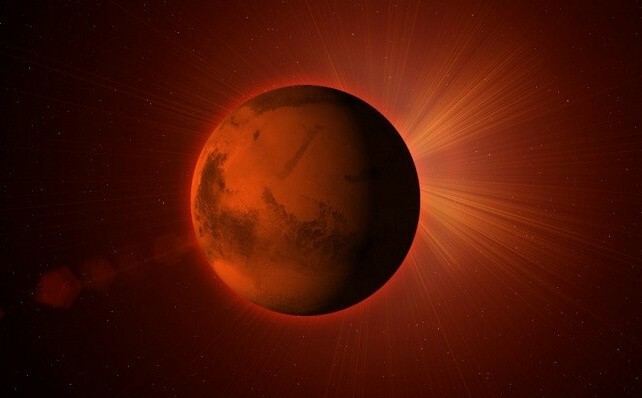 But for just 99 cents, people can send a picture of themselves to the Red Planet as part of the Time Capsule to Mars (TC2M) – a student-led, crowdfunded project that aims to send three CubeSat microsatellites to the planet containing digital messages from tens of millions of people from all around around the world. 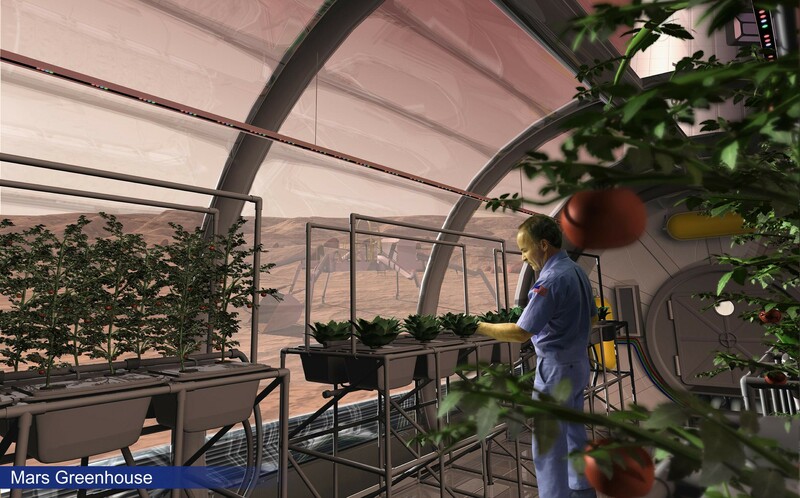 The objective of the TC2M – a project of Explore Mars – mission is to inspire people throughout the globe and allow them a personal connection with space exploration in the same spirit of the Apollo missions. The non-profit organization also aims to educate and inspire children by enabling them to upload their media content, track their spacecraft and lander, and participate in the mission via a personalized Mission Control portal over the internet. 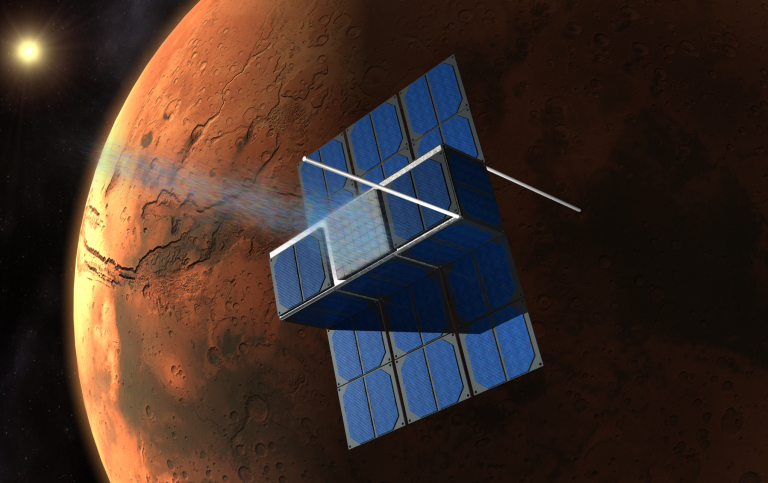 With the help and support of NASA, MIT, Stanford University and Deep Space Industries (among others), the student-led team will design, launch, fly and land three CubeSat-based spacecraft on the surface of Mars. 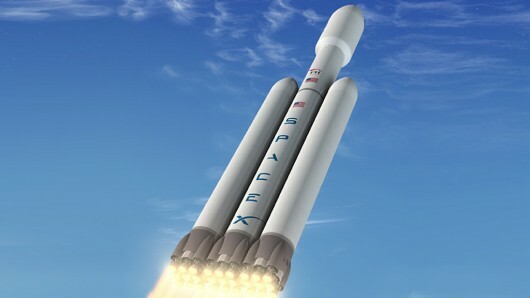 The projected cost of the mission, covering everything from design to launch, is $25 million, which TC2M will attempt to raise by way of crowdfunding. In terms of sending media content, people currently have the option of uploading only images up to 10 MB in size. However, in the coming months, TC2M claims that participants will also be able to upload other types of media such as videos, audio clips and text files. In order to reach as many people as possible, uploads in the developing world will be free of charge for smaller files, underwritten by corporate sponsors. We hope to inspire and educate young people worldwide by enabling them to personally engage and be part of the mission. The distributed approach to funding and personal engagement will ultimately guarantee our success. The data will be carried by three identical 13-kg (27-lb) CubeSat spacecraft, each 30 x 40 x 10 cm (12 x 16 x 4 inches) in size. This will be the first time that such spacecraft are used for interplanetary travel, as well as the first time that many of the new technologies are being tested. 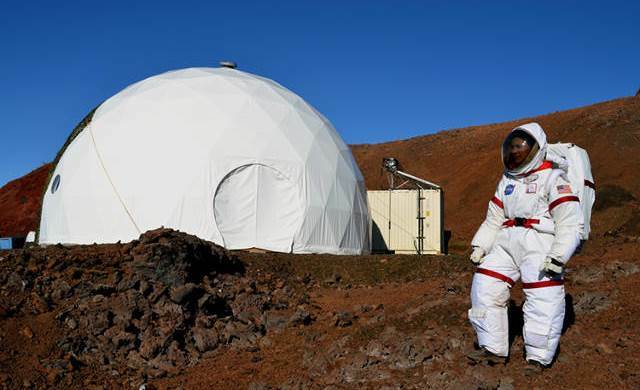 The data will be stored in a quartz crystal, which is extremely dense and could last for millions of years, hence making it ideal for surviving the hostile conditions on Mars. 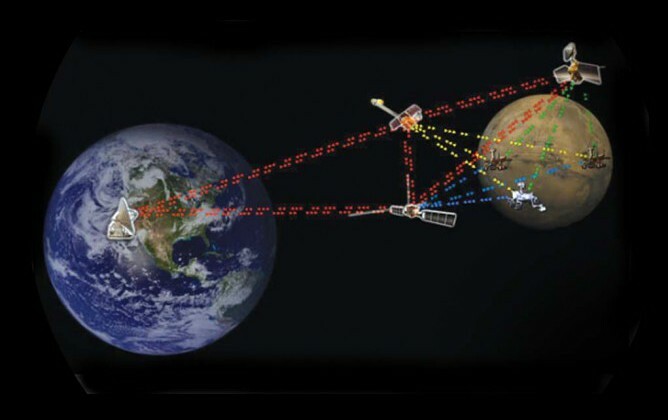 The technologies being tested on the three spacecraft include delay-tolerant networking for the Deep Space Internet, inflatable antennae, and new interplanetary radiation sensors that will pave the way for future human trips to Mars. But out of all the new technologies being tested, the most exciting is certainly the propulsion system. But the most interesting technology of all will be in the form of its engines. 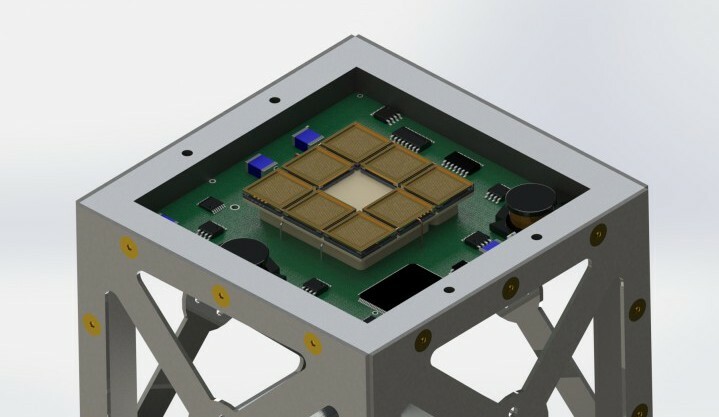 The three spacecraft will be propelled by an ion electrospray system (iEPS), a microthruster developed at MIT that is essentially size of a penny (pictured above). Each spacecraft will be powered by 40 thruster pairs, which will generate thrust using an electric field to extract and accelerate ions. The ionic liquid propellant is much more efficient than rocket fuel, and MIT scientists believe a scaled-up version may one day bring humans to Mars. The choice of employing three separate but identical spacecraft for the mission may be due in part to the fact that so many new technologies are being tested at the same time. 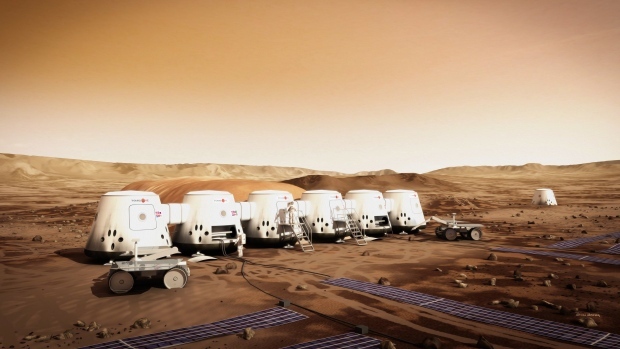 To triple the chances of success, Briere has previously said that crowdfunders who want to send their media to Mars will have the option of having the data uploaded on all three spacecraft, for an additional price. 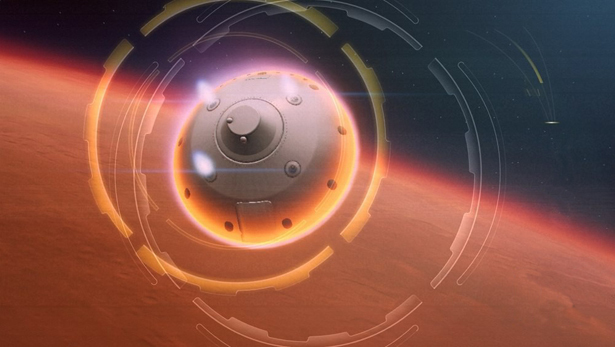 The spacecraft themselves will disintegrate as they traverse the Martian atmosphere. However, the payloads are being designed to aerobrake and land on the surface of Mars while keeping the data intact and preserved uncorrupted on the surface of the planet for a long, long time. As for how they intend to keep it stored until the day that manned missions can retrieve it, there are a few options on the table. One option that is being considered is to use a microinscribed thin tungsten sheet, which has the advantage of being thin, light and strong, with a high melting point – meaning it won’t disintegrate upon entry – and good aerobraking properties because of its large surface area. 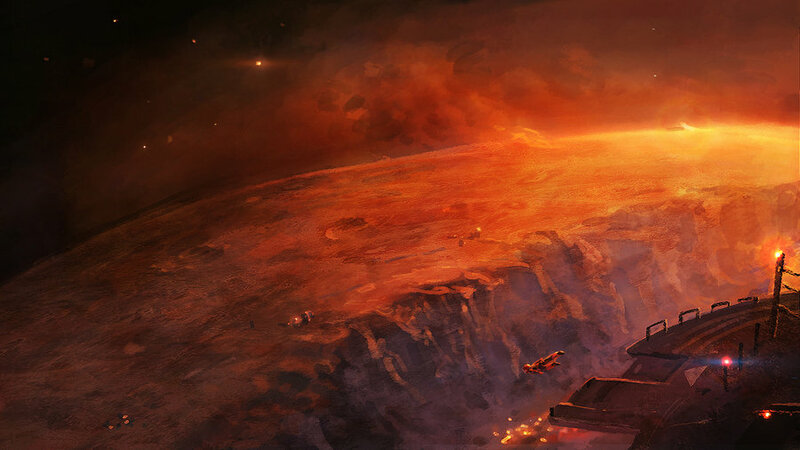 However, there are concerns that sandstorms on Mars might damage the data once it has landed. 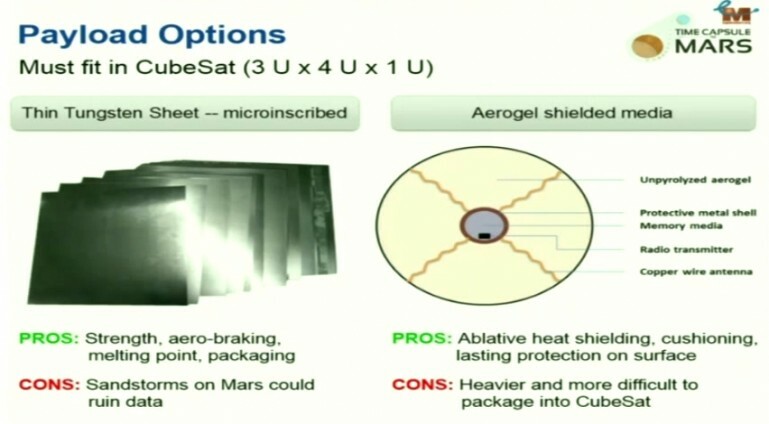 A second option would be an aerogel-shielded media. A metal ball could encase the data which would be stored in a very light medium, such as a quartz memory. The metal ball would be surrounded with an aerogel that will act as an ablative shield as it enters the atmosphere. And as it gets closer to the surface, the metal ball will act as a cushion for the data as it lands on Mars. The organizers have only just announced their crowdfunding plans, and expect to reach the very ambitious goal of $25 million before the launch, which is planned for 2017. You can contribute to the mission and upload your own picture by visiting the mission website. And for those interested in possibly contributing, stay tuned to find out how and where you can donate once the crowdfunding campaign is up and running. So in addition to showcasing new spacecraft, new media technologies, this project is also an attempt to stimulate interest in the new age of space exploration – an age characterized by public access and involvement. It’s also an opportunity to make your mark on the Red Planet, a mark which will someday (if all goes to plan) be uncovered by a new generation of explorers and settlers. Improving the efficiency of solar power – which is currently the most promising alternative energy source – is central to ensuring that it an becomes economically viable replacement to fossil fuels, coal, and other “dirty” sources. And while many solutions have emerged in recent years that have led to improvements in solar panel efficiency, many developments are also aimed at the other end of things – i.e. 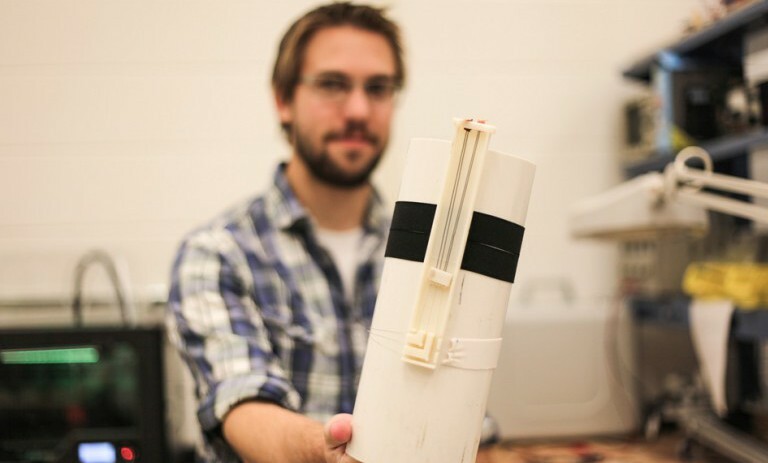 improving the storage capacity of solar batteries. In the former case, a group of scientists working with the University of Utah believe they’ve discovered a method of substantially boosting solar cell efficiencies. By adding a polychromat layer that separates and sorts incoming light, redirecting it to strike particular layers in a multijunction cell, they hope to create a commercial cell that can absorb more wavelengths of light, and therefor generate more energy for volume than conventional cells. 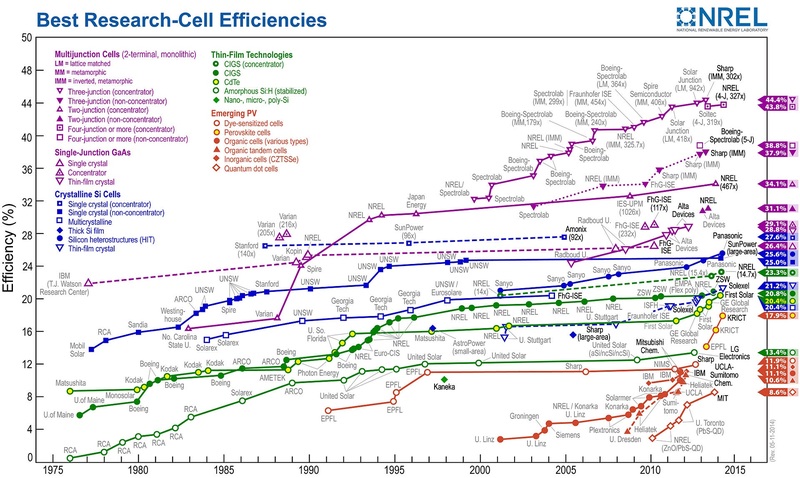 Traditionally, solar cell technology has struggled to overcome a significant efficiency problem. 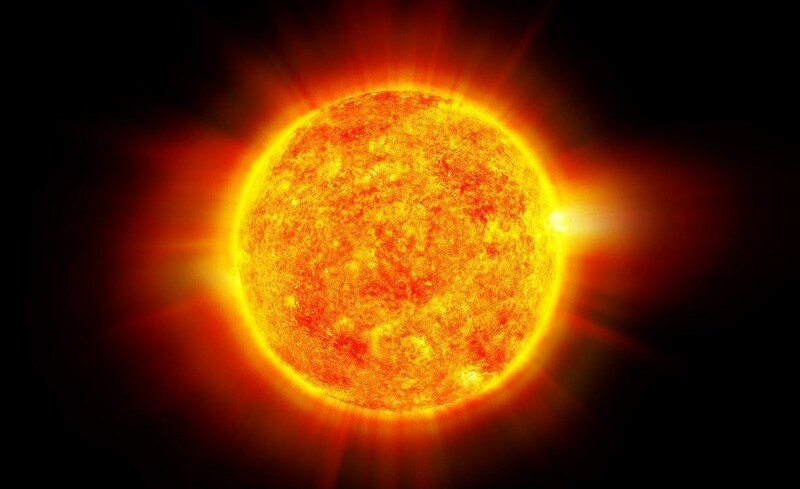 The type of substrate used dictates how much energy can be absorbed from sunlight — but each type of substrate (silicon, gallium arsenide, indium gallium arsenide, and many others) corresponds to capturing a particular wavelength of energy. Cheap solar cells built on inexpensive silicon have a maximum theoretical efficiency of 34% and a practical (real-world) efficiency of around 22%. At the other end of things, there are multijunction cells. 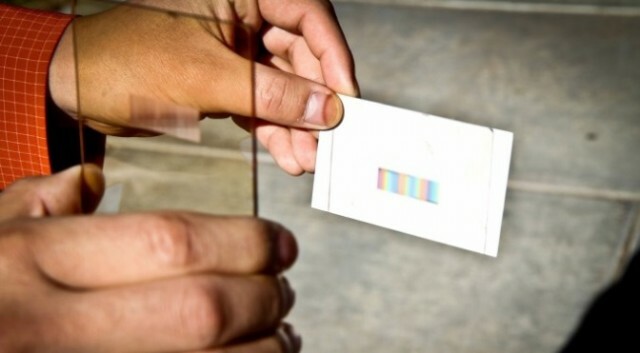 These use multiple layers of substrates to capture a larger section of the sun’s spectrum and can reach up to 87% efficiency in theory – but are currently limited to 43% in practice. What’s more, these types of multijunction cells are extremely expensive and have intricate wiring and precise structures, all of which leads to increased production and installation costs. 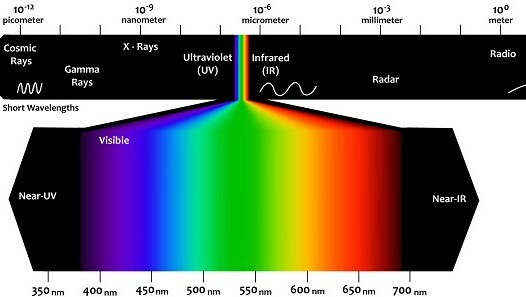 In contrast, the cell created by the University of Utah used two layers — indium gallium phosphide (for visible light) and gallium arsenide for infrared light. According to the research team, when their polychromat was added, the power efficiency increased by 16 percent. The team also ran simulations of a polychromat layer with up to eight different absorbtion layers and claim that it could potentially yield an efficiency increase of up to 50%. However, there were some footnotes to their report which temper the good news. For one, the potential gain has not been tested yet, so any major increases in solar efficiency remain theoretical at this time. Second, the report states that the reported gain was a percentage of a percentage, meaning that if the original cell efficiency was 30%, then a gain of 16% percent means that the new efficiency is 34.8%. That’s still a huge gain for a polychromat layer that is easily produced, but not as impressive as it originally sounded. 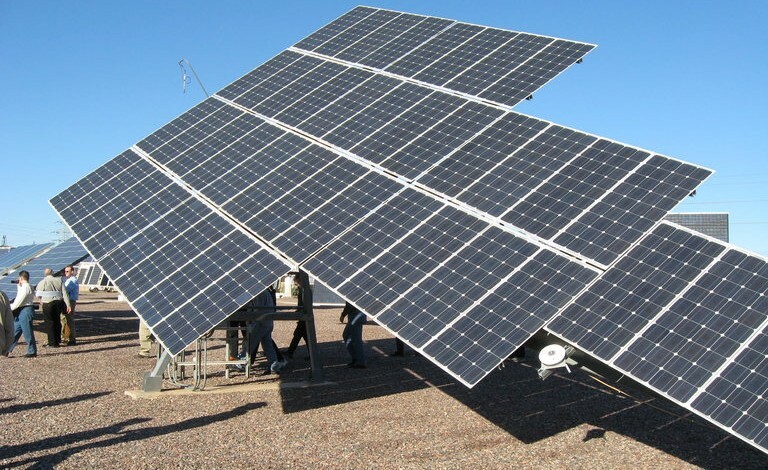 However, given that the biggest barrier to multi-junction solar cell technology is manufacturing complexity and associated cost, anything that boosts cell efficiency on the front end without requiring any major changes to the manufacturing process is going to help with the long-term commercialization of the technology. 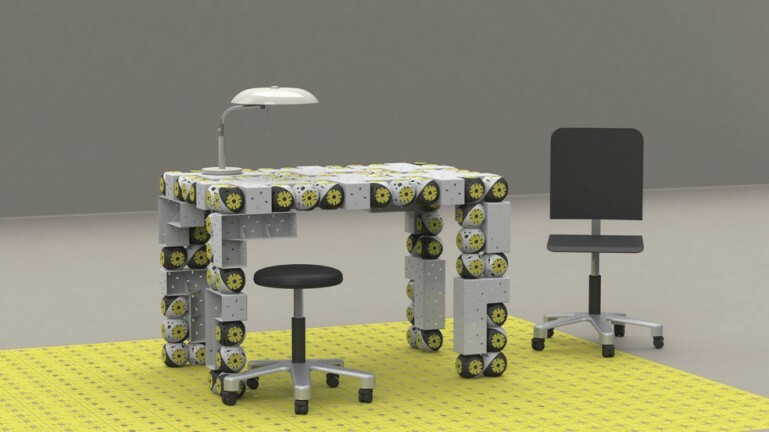 Advances like this could help make technologies cost effective for personal deployment and allow them to scale in a similar fashion to cheaper devices. In the latter case, where energy storage is concerned, a California-based startup called Enervault recently unveiled battery technology that could increase the amount of renewable energy utilities can use. The technology is based on inexpensive materials that researchers had largely given up on because batteries made from them didn’t last long enough to be practical. But the company says it has figured out how to make the batteries last for decades. The technology is being demonstrated in a large battery at a facility in the California desert near Modeso, 0ne that stores one megawatt-hour of electricity, enough to run 10,000 100-watt light bulbs for an hour. The company has been testing a similar, though much smaller, version of the technology for about two years with good results. It has also raised $30 million in funding, including a $5 million grant from the U.S. Department of Energy. 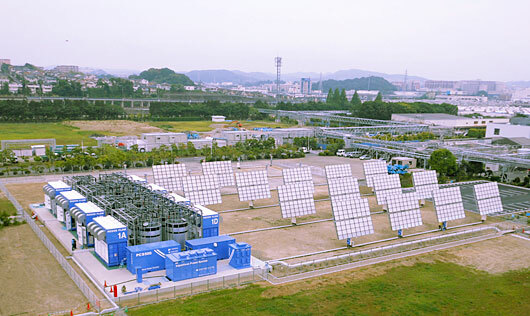 The technology is a type of flow battery, so called because the energy storage materials are in liquid form. They are stored in big tanks until they’re needed and then pumped through a relatively small device (called a stack) where they interact to generate electricity. Building bigger tanks is relatively cheap, so the more energy storage is needed, the better the economics become. That means the batteries are best suited for storing hours’ or days’ worth of electricity, and not delivering quick bursts. This is especially good news for solar and wind companies, which have remained plagued by problems of energy storage despite improvements in both yield and efficiency. 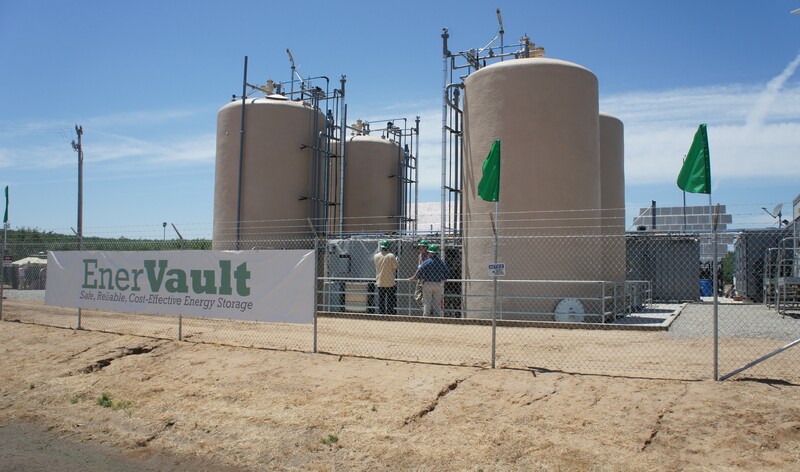 Enervault says that when the batteries are produced commercially at even larger sizes, they will cost just a fifth as much as vanadium redox flow batteries, which have been demonstrated at large scales and are probably the type of flow battery closest to market right now. And the idea is not reserved to just startups. Researchers at Harvard recently made a flow battery that could prove cheaper than Enervault’s, but the prototype is small and could take many years to turn into a marketable version. An MIT spinoff, Sun Catalytix, is also developing an advanced flow battery, but its prototype is also small. 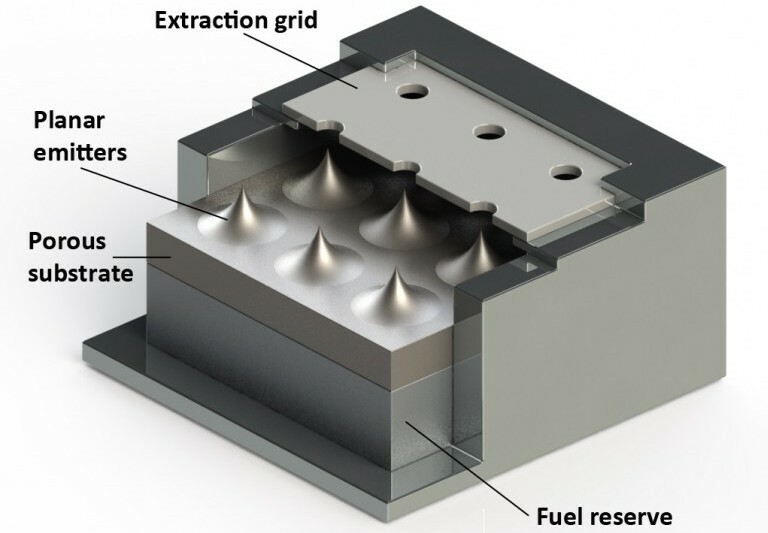 And other types of inexpensive, long-duration batteries are being developed, using materials such as molten metals. One significant drawback to the technology is that it’s less than 70 percent efficient, which falls short of the 90 percent efficiency of many batteries. The company says the economics still work out, but such a wasteful battery might not be ideal for large-scale renewable energy. More solar panels would have to be installed to make up for the waste. What’s more, the market for batteries designed to store hours of electricity is still uncertain. A combination of advanced weather forecasts, responsive fossil-fuel power plants, better transmission networks, and smart controls for wind and solar power could delay the need for them. California is requiring its utilities to invest in energy storage but hasn’t specified what kind, and it’s not clear what types of batteries will prove most valuable in the near term, slow-charging ones like Enervault’s or those that deliver quicker bursts of power to make up for short-term variations in energy supply. Tesla Motors, one company developing the latter type, hopes to make them affordable by producing them at a huge factory. And developments and new materials are being considered all time (i.e. graphene) that are improving both the efficiency and storage capacity of batteries. And with solar panels and wind becoming increasingly cost-effective, the likelihood of storage methods catching up is all but inevitable.